Cinders Slimfold TG160 Commercial Gas Barbecue. Practical features include high pressure burners which are unaffected by wind, and legs which resist sinking into soft earth, then fold to protect the control valves enabling storage upright on end. 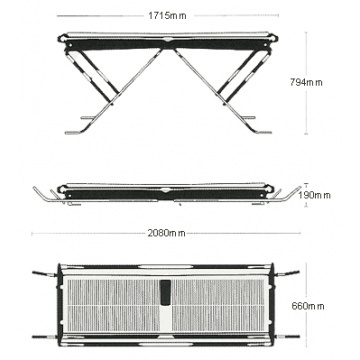 High output folding barbecue ideal for the outdoor caterer. Can be stored vertically (on end) to maximise your storage space. 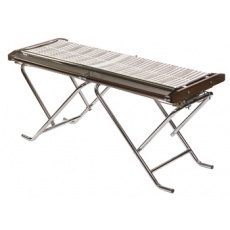 Twin grills with separate controls for flexibility. Easy low maintenance thanks to its sleek robust design. Internally self-cleaning using reflected heat for ease of cleaning. Maximum heat up time just 5 minutes. 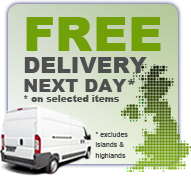 Up to 12 hours of full heat from one 19 kg propane gas cylinder (not supplied). High pressure burner unaffected by wind. No assembly needed, hose and regulator fitted (input pressure: 14.5 psi / 1.0 bar). Dimensions - cooking area 80 x 45.7cm per grill area. 794(H) x 1715(W) x 660(D) mm. Folded 190(H) x 2080(W) x 660(D) mm.